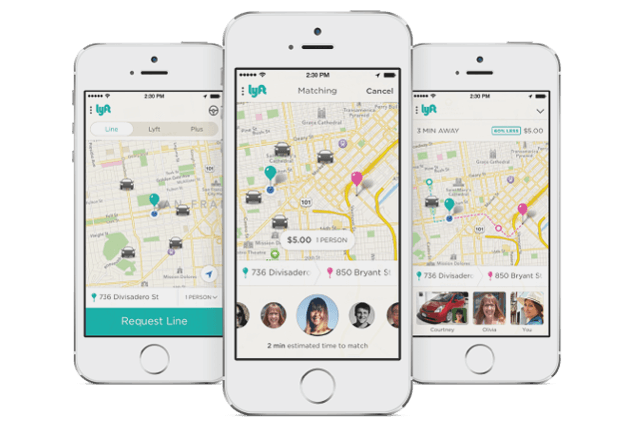 After growing like wildfire in some of the largest cities in the U.S., with Standard Lyft & Lyft Plus being massively adopted by all, innovators at Lyft figured out how to forever change the way carpools operate. Hailing a Line lets you split the fare with other passengers who happen to be heading in the same direction - and it can be up-to 60% cheaper than what a standard ride would cost. While the prices may fluctuate based on the route taken/other riders you've been instantly paired up with, it will always be more inexpensive than a standard fare. The total cost of your trip is determined before you actually take it. Even if you're the only passenger, you still get the discounted prices. Save money & meet some new people in your city! It gets you where you need to be, when you need to be there. Smart pairing & route logic allow this to be an on-demand service. It will be up to 60% cheaper than a standard fare! While this car service is currently only available in a select few metropolitan areas, operations are quickly expanding. Select your location from the list of current cities (or open up the app through your phone) to check if it is available in your neck of the woods as of this moment.